Now, when a student at Lincoln needs clothes, City Connects Coordinator Allison Emhoff can go into the closet and get winter coats, sweaters, pajamas, backpacks, or the school uniforms that students at Lincoln wear. The closet doesn’t have shoes, but Emhoff can put in a special request for them. Students can also get personal products like deodorant or toothpaste. And it’s all convenient because the closet is just down the hall. A lot of kindness comes out of Catie’s Closet along with help for students who can’t afford clothes or who may have just spilled something on themselves. Anyone in school can use the closet. But the other problem that Catie’s Closet addresses is chronic absenteeism. 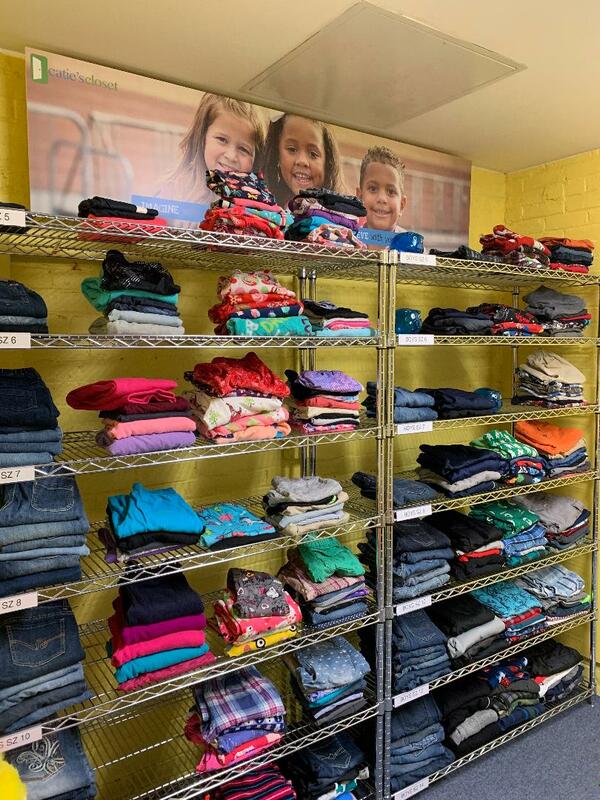 “One student had poor attendance,” Emhoff said, “and when I met with Mom it turned out that the reason was that the student didn’t have enough clean and warm clothes.” So Emhoff went into Catie’s Closet and got clothes for the student and for the student’s younger sibling. Another student was struggling academically, and when Emhoff found that the child needed clothes, she supplied them. This changed both the mom’s and the student’s outlook, and both came to see the school as a source of help. “When we connect with parents and help, they are often more willing to work with us,” Emhoff adds. To spread the word about Catie’s Closet among families, Lincoln’s principal, Mark McCann, has posted pictures on the school’s in-house app. Now some parents request clothes through the app, which, Emhoff says, helps eliminate the stigma of asking for help. In addition to the work that Emhoff does, students are helping out by referring other kids who needs clothes, which makes the referring students part of the effort to build a strong, supportive school community that meets needs to promote academic success. 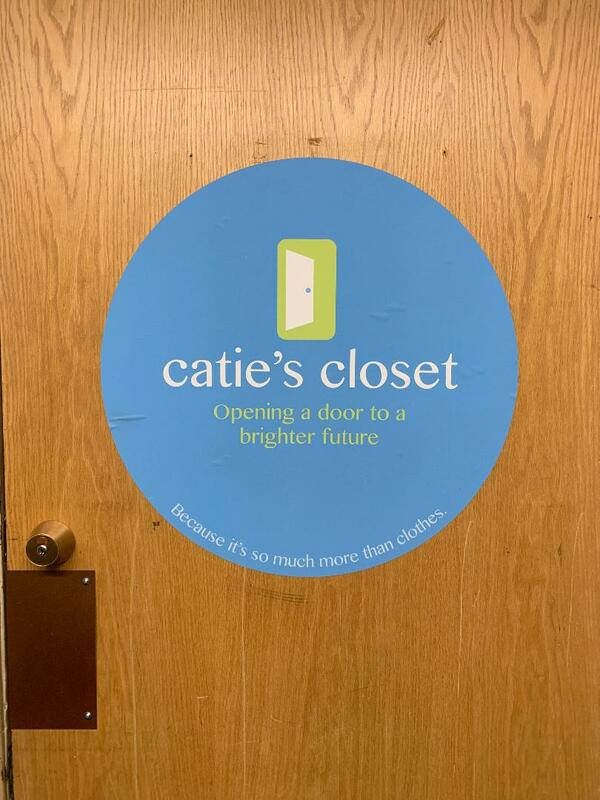 Catie’s Closet was launched in 2010 at Lowell High School to honor the memory of Catie Bisson, a Lowell High alum who shared the needs of homeless students with her family. 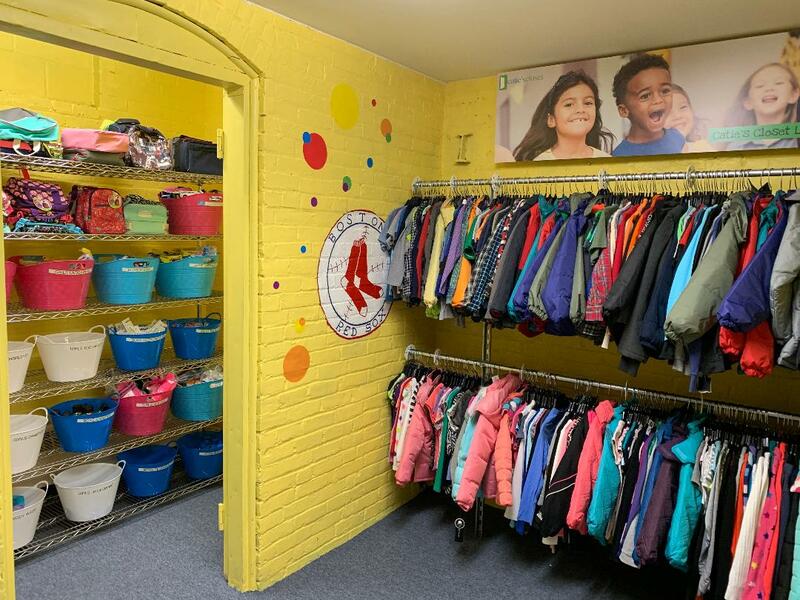 The nonprofit provides clothes and personal products for over 40,000 students in 71 schools in Massachusetts and New Hampshire. “If you don’t go to school, it gets harder to get out of the cycle of not having what you need,” Dan Bisson, Catie’s brother, says, adding another reason why providing kids with clothes is so important. He helped set up Lincoln Elementary’s closet and he delivers the donated clothes. Lincoln Elementary is the first school in Springfield to have Catie’s Closet, but there are plans to expand. To help the organization grow, Emhoff has shared the program’s benefits with other City Connects coordinators in Springfield.